Another video, “PorcFest marijuana users & their supporters lose fear,” covers one aspect of the PorcFest—open drug use. It shows participants smoking dope while paying tribute to one Stefan Molyneux, a self-styled “freedom advocate” who is described as a frequent guest on the Moscow-funded Russia Today (RT) propaganda channel’s Adam Kokesh program, which has since been cancelled, and RT’s Max Keiser Report. On the eve of the Iowa Caucuses, Molyneux recorded a 14-minute rant in a video for Paul, saying that the Congressman’s stance against “imperialism and foreign wars” would save the lives of hundreds of thousands of people. He called Iowa “make or break” for the Paul campaign and urged people to vote in the caucuses and send money immediately. 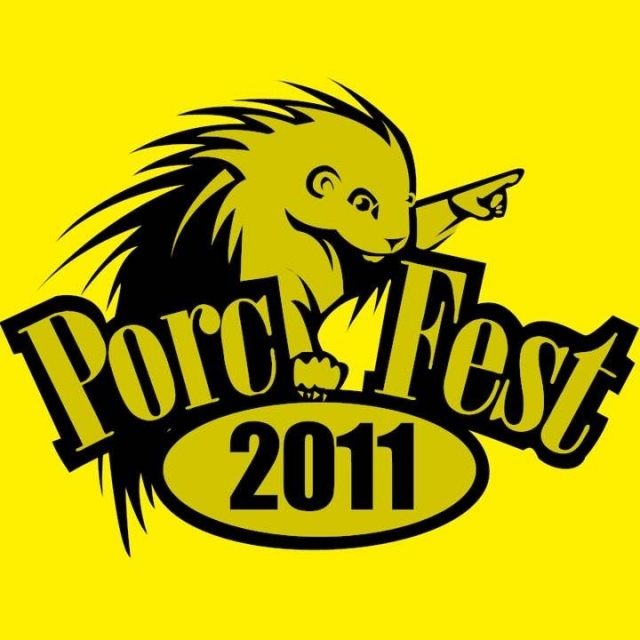 The PorcFest was sponsored by the Free State Project, a political movement trying to recruit tens of thousands of “libertarian-leaning people” to move to New Hampshire. It became a gathering of the “New Hampshire Liberty Movement” and other such organizations from around the nation. This is Ron Paul’s constituency. But the mixture of drugs and guns with an anti-government philosophy that borders on paranoia can have disastrous consequences. One only has to recall that John Patrick Bedell, a 36-year-old marijuana addict, had used “medical marijuana” cards to get legal dope in California, before he drove to Washington, D.C. in March of 2010 to murder people at the Pentagon. Bedell, who injured two security guards before getting killed in the crossfire, was a libertarian who thought the government was out to get him. He was devoted to legal marijuana, believed in the 9/11 “inside job” theory, and accused the U.S. Government of murdering a Marine Corps colonel, James Sabow, in California in 1991. One is tempted to laugh at some of this, except for the fact that young people disillusioned with American society and government are being drawn into the “guns and weed” philosophy and leaving their families. It’s much the same thing that happened with the New Left, the SDS and the Weather Underground in the 1960s. I have talked to a distraught mother who says her daughter was brainwashed into joining the Ron Paul movement. “I just wonder if the voters know what kind of political groups are backing Ron Paul’s campaign,” she tells me. These are young people who have “dropped out,” to use the vernacular of LSD guru Timothy Leary, but are dropping back in through the Ron Paul campaign. 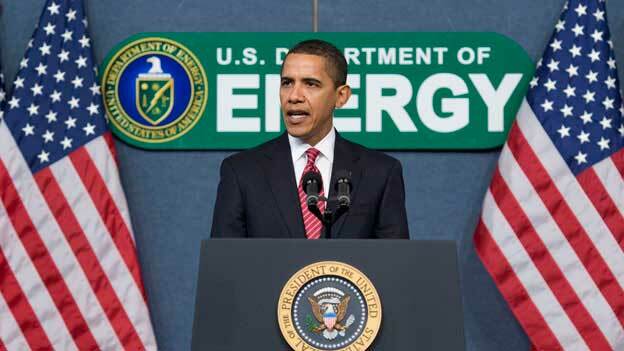 They have certainly become cannon fodder for the Ron Paul Revolution. Ron Paul is their Messiah, with Gary Johnson, the libertarian former New Mexico Governor and drug legalization advocate, waiting in the wings. The “Next Ron Paul,” as he has been called, has openly talked about the joys of smoking marijuana. It’s of course worthwhile that these young people have taken an interest in politics, but their political activities resemble something that we used to associate with the New Left and the anti-government radicals and communists of the 1960s. They are not only destroying their lives with drugs, but embracing a political philosophy that would leave America defenseless against real enemies abroad. If this sounds like an area where the extreme left meets the extreme right, it is not the only one. Rep. Paul joined with Rep. Barney Frank, the Massachusetts liberal, to advocate massive defense cuts and the legalization of marijuana. It seems to be a deliberate strategy of Paul’s to seek the votes of the liberal/left on such issues. Ron Paul was apparently not at PorcFest, but presidential contender Gary Johnson was. Reporter Rogers wondered if “embracing such a counter-cultural crowd would be good politics for a would-be president” and said, “Gary Johnson seemed to think so.” Indeed, Johnson, who dropped out of the current Republican presidential primaries to seek the Libertarian Party presidential nomination, was mingling with the crowd seeking votes. His campaign platform features “drug policy reform,” which is a fancy way of saying that drugs should be legalized so that the government can regulate, tax, and distribute them. A video shows Johnson being interviewed by the reporter, who says to him, “A lot of people would say it’s a courageous candidate that would come to an event where there’s people walking around open carrying weapons, there’s gay disco, there’s people smoking marijuana. What do you make of that?” Johnson replies that he’s not courageous for being there and “Those things don’t bother me at all.” How’s that for a political leader concerned about the future of America and its youth? One of the featured speakers at PorcFest was Adam Kokesh, the Ron Paul supporter who had a program on the Russia Today (RT) propaganda channel before he got fired apparently for improperly raising money on the air for Paul’s campaign. The scandal revealed a cozy relationship between the Paul campaign and a state-funded channel run by the regime of former KGB officer and now Russian Prime Minister Vladimir Putin. Paul is also one of Iranian Press TV’s favorite U.S. politicians, obviously because of the Congressman’s indifference to the Iranian regime developing nuclear weapons. One of Gibbs’s associates in what they call the “liberty movement” is Mike Gogulski, sponsor of nostate.com and self-declared “stateless person” and anarchist. “I renounced my American citizenship in protest of what has become an American Empire, a nation that I see riding an express train to police state dictatorship with flags flying, anthems blaring and deluded, complicit masses cheering it along the track,” he says. He currently serves as a press spokesman for the Bradley Manning Support Network. Gibbs’s video interviewer and associate, Pete Eyre, first went to the Porcupine Freedom Fest in 2005. “It was the first time I was around people who openly carried weapons and were living the free lifestyle,” he says. He became a libertarian and then an anarchist. He is now with CopBlock.org, an anti-police organization which depicts police officers as demonic figures with blood on their hands and batons. “We’re watching” the police, it says. Eyre’s animus for police may have something to do with the fact that he obtained an undergraduate degree in law enforcement but was then turned down for jobs in various police departments. “I tested with New York City Police Department, Seattle PD and LAPD, and scored at the 94%, 98% and 100% levels, respectively. But, after a questionable reading on the lie detector test administered by the LAPD, they found that I hadn’t been truthful about my use of ‘illicit’ substances. Consequently, they dropped me from consideration,” he admits. Eyre promoted the incident in which Kokesh, then with Russia Today television, disrupted tourism at the Jefferson Memorial in Washington, D.C. and got himself arrested. Their strategy was to break the law and provoke a confrontation with police so that officers would be accused of brutality. Eyre’s bio says that he interned with the Cato Institute and was a Koch Fellow at the Soros-funded Drug Policy Alliance. This is significant because the Koch Brothers are considered enemies of the “progressives.” It seems that, on the matter of ending the war on drugs, the Koch Brothers and “progressive” philanthropist George Soros agree. Eyre also worked at the Institute for Humane Studies. One of the other interests listed on Eyre’s Facebook page is the “International Peace Movement,” which features speeches by Moammar Gadhafi, information about the 9/11 Truth movement, and tributes to Ron Paul. 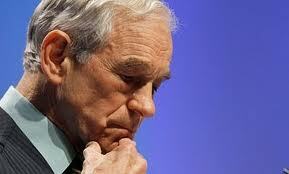 This video shows Ron Paul discussing civil disobedience with Pete Eyre. Like Allison Gibbs, Eyre enjoys tattoos. This Pete Eyre website features his various tattoos, including one depicting a snake wrapped around an assault rifle. He also displays one tattoo called amagi, which is supposed to be the first written word for freedom or liberty. Another person has a “Come and Take It” pistol tattoo on his left forearm, with the “anarcho-capitalist flag” in the gun detail. The heavy turnout of young people at Ron Paul events, including their loud and obnoxious behavior on behalf of the candidate at presidential debates, has been mentioned by the media throughout the campaign. Some of these young people are on news programs saying they are concerned about the national debt. Others oppose U.S. involvement in foreign wars. These are respectable views but they do not tell the whole story about what is going on in the “Ron Paul Revolution.” The media should take a much closer look.